Who will win the Golden Hoot award this Sunday? 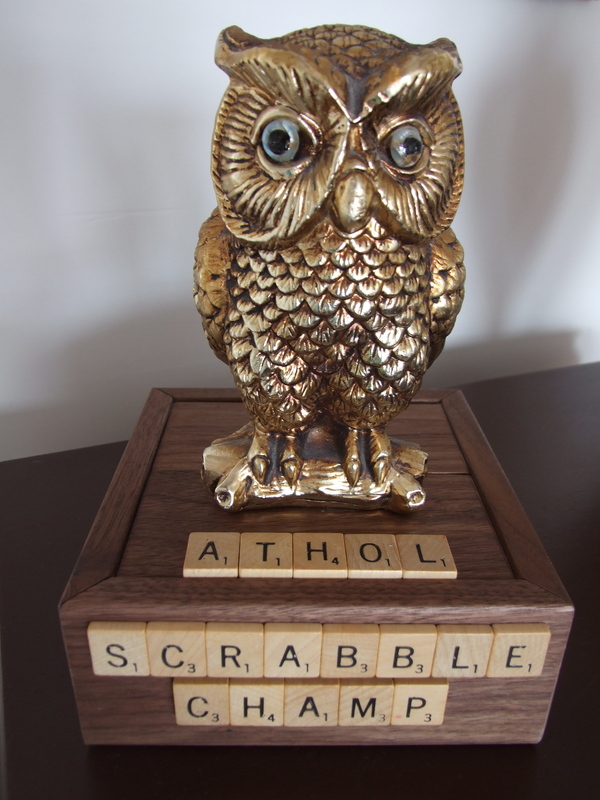 The Athol Scrabble Champ award nicknamed the “Hoot” award made by Recreation Committee member Glen Wallis. 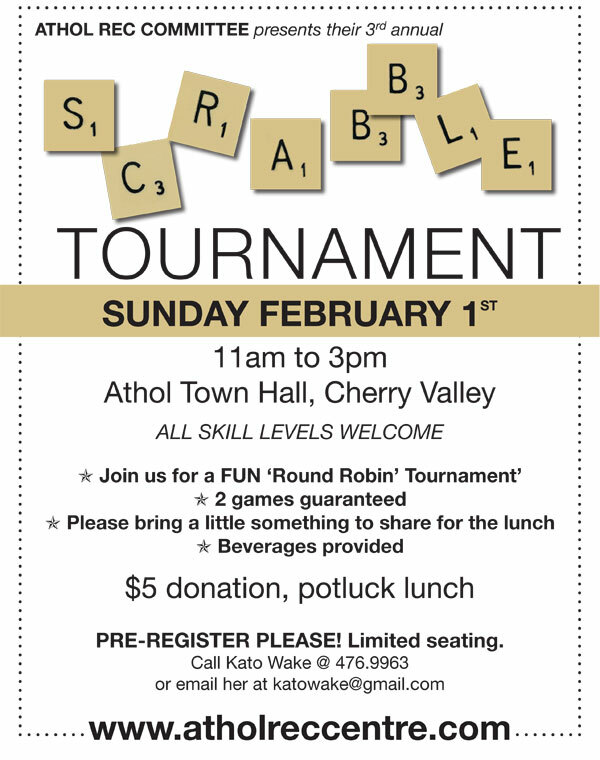 Do you have a scrabble board you can bring with you? We want to make sure we have enough!